Envirodeck is a South African composite decking supplier that imports strong, yet beautiful decking boards that will last a lot longer than timber. Looking for a composite decking supplier with a solid track record? Envirodeck was established in 2004 as a composite decking brand, focussing on environmentally friendly decking. Growing from strength to strength, Envirodeck is now one of the most recognisable names in the decking and building industry, with composite decks having grown in popularity as demands for ‘green’ products increases. Envirodeck has maintained it’s leading position by constantly being front of mind and building a consistent network within the industry as a reliable product with proven benefits. We began extensively marketing and distributing boards for the construction of composite decks as an alternative to traditional wooden decking after recognising an opportunity to offer sustainable solutions to the outdoor leisure market. Our offering stretches far beyond just the supply of decking boards – we have extended our range with complimentary profiles, colours and also investigated new ways to utilise our products in innovative and creative applications. We do not limit our imaginations to just decking, but also into cladding, pergolas, furniture, fencing or gates. 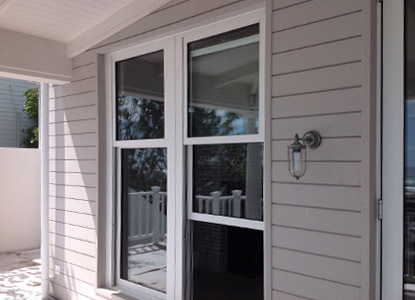 As much as Envirodeck Products can be installed for exterior uses, they can be installed for Interior applications as well. However, the driving factor behind our operations is to consciously improve the lives of our customers by adding value throughout the supply chain, from manufacture, right through to the installation of composite decks – all while contributing to a more sustainable future. You can find out more about our processes in our frequently asked questions section. 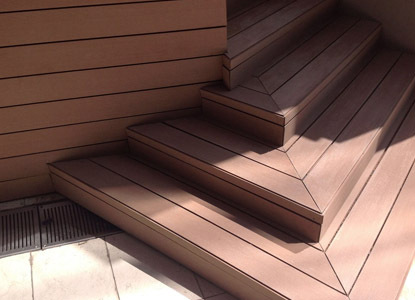 Envirodeck as a company and a brand is a recognised pioneer in the industry, we understand the technical as well as the straightforward aspects of manufacturing, supplying and installing composite decks. Professional contractors have come to rely on the value and consistency for which Envirodeck is known. We take pride in our emphasis on patented product quality and good service. Envirodeck as a brand offers a truly sustainable building solution to our market and we also take an active stance towards minimising our ecological footprint. Going forward, the Envirodeck product range will expand to include alternative product designs, accessories and keep adding green ideas to our range of composite decking products. 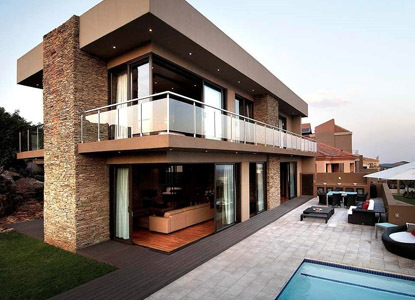 Envirodeck is proudly one of South Africa’s leading composite decking brands, also offering decking accessories and deck lighting products to the building industry. Our forward thinking approach delivers a durable deck that competes with every other decking material available on the market. Find out about the features and benefits of our composite products, and read what our customers have to say about their Envirodeck experience. Be inspired by our comprehensive gallery of beautiful patio decks, outdoor entertainment areas, swimming pool decks, composite cladding ideas and more! Proven Performance. Innovative. Affordable. What more could you want in a deck? Looking for decking ideas? Have a look at our gallery or click on the button below to find out more about our industry-leading composite decking products and why they should be your first choice for your next outdoor project. Choose Innovation. Choose Green. Choose Envirodeck. 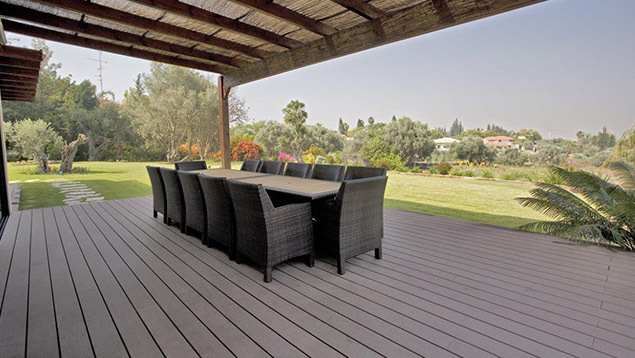 Envirodeck composite decking products have a solid track record within the South African market, having been launched in this country in 2004. Whether you are a homeowner, architect or installer and would like to learn more about the Envirodeck range of composite decking products, please fill in the form below and one of our representatives will be in touch to discuss your needs. We look forward to hearing from you!